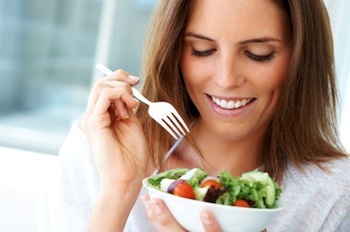 Koons Automotive’s New Years’ Resolution: Be Healthy. Be Happy. What is YOUR New Years’ resolution? If it’s weight loss, we have the blog post for you! 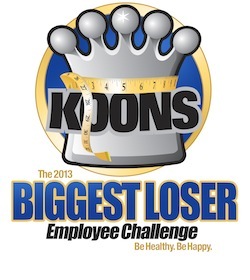 We are so excited to continue our Fitness Friday posts again this new year, because this Monday we will launch the Koons “2013 Biggest Loser” Contest for all of our employees! This will be the 2nd annual contest for Koons since our 2012 program was a blockbuster success, with employees collectively losing over 5,000 pounds! Many employees had so many special and touching stories about how the contest helped them improve their lives – from our contest winner losing over 25% of his body weight, to several employees no longer needing cholesterol and blood pressure medication, the program was an absolute success, and we are so excited to launch it again to support our employees with their resolutions! Team pairings are the same as last year: each Koons location will compete as a team, and each individual will compete against the collective group. As an incredible incentive to our employees, the Top 5 winners AND winning team will be treated to an all-expenses paid weekend getaway in addition to a cash prize for their hard work! As an added bonus to our readers, on each Fitness Friday we will post health tips to keep you healthy this new year, and going strong for the remainder of 2013! Whatever your New Years’ resolution may be, best of luck at it and have a great 2013!